BRYAN EATON/Staff photo. 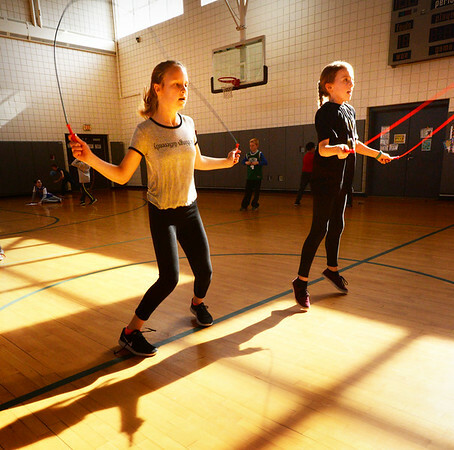 Ava Mullen, left, and Ashley Jones, both 10, work on a jump rope routine in Linda Gangemi's physical education class at Salisbury Elementary School on Monday morning. They're practicing for next week's Jump Rope for Heart, a fundraiser for the American Heart Association.